Former first lady Michelle Obama said she does not have the passion for politics like her husband and ruled out running for president. Former first lady Michelle Obama ruled out running for president when asked about the possibility at a forum devoted to empowering women in Boston on Thursday. "You have to want the job. And you can't just say, 'you're a woman, run,'" Obama said. "We just can't find the women we like and ask them to do it because there are millions of women who are inclined and do have the passion for politics." 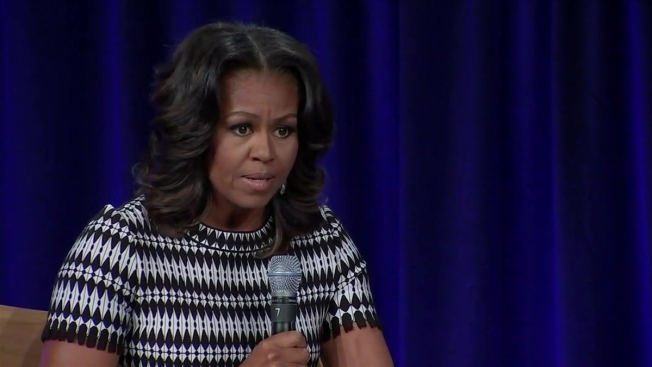 The former first lady said she does not have the passion for politics like her husband. "Just because I gave a good speech, I'm smart and intelligent doesn't mean I should be the next president," she said. "That's been our problem. We're very shortsighted about how we think about selecting the commander-in-chief. 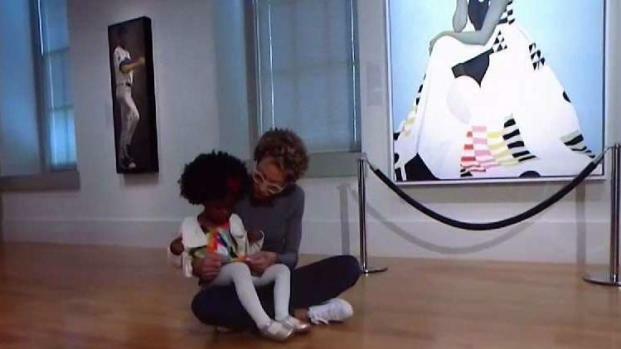 Parker Curry, the adorable young girl whose captivation with Michelle Obama's portrait went viral, meets Amy Sherald, the artist responsible for the painting. Eun Yang reports. Obama was participating in a moderated conversation at the 39th annual Simmons Leadership Conference. The event is the longest-running women's leadership event in the U.S.
Organizers say they invited Obama because she's "a passionate and tireless champion of women, families and young people." Other participants include news anchor and women's rights advocate Gretchen Carlson and former CIA operative and author Valerie Plame. This year's conference was held at Boston's Seaport World Trade Center with the theme "Disrupt the Ordinary." More than 3,400 people have registered for the event. Past speakers have included Madeleine Albright, Hillary Clinton, Billie Jean King and Oprah Winfrey.